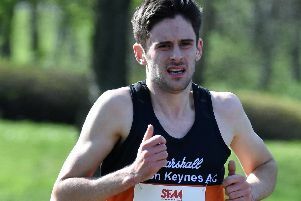 Redway Runners saw a record number of its members take part in the popular MK Festival of Running which attracts thousands of people to the city. Just under 450 club members took part in all four distances meaning their green kits were very well represented along the course. Runners ran in some rather windy conditions in some places including the incline at Campbell Park. 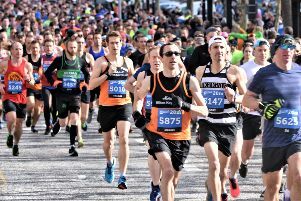 The club saw 170 of its members take part in the classic distance of 10k, which was closely followed by the half marathon and the ever popular 20 miler. The weekend of the 16 March also marked the club’s 18th overseas trip to Paphos, Cyprus. With a packed programme of a 5k wine run and running amazing views of traditional roads and mountains. The reward at the end of the race – of course, a bottle of wine! The main runs abroad included a 5K, 10K, half and full marathon and Redway Runners won the overall team prize. Abi Gooch was first lady at the Cyprus event; Katie Tucker coming third for the half marathon; Sadie Hursley and Sarah King age category winners and a special mention to Steve Boothby for running his first ever half marathon since a serious biking accident. “A great weekend for the club with so many successes and one we can be proud of and look forward to the rest of the year’s events."